The Symphonic Wind Orchestra Landeck was founded in 1637, and is one of the oldest ensembles in the world. It was a distinct honor to write a commissioned work for their 375thanniversary in 2012 – I don’t get requests like this on a daily basis, particularly from a wind orchestra of such storied history. After taking a quick dive into the history of Landeck, a picturesque town in Tyrol, Austria, I learned how the town was a way station on the Via Claudia Augusta. This old Roman road was the main link between the Italian Po Valley and the German city of Augsburg. In Via Claudia, the orchestra takes the listeners on a journey across the Alps, which begins on a misty morning near Venice. In a stately procession the travelers master an arduous climb and navigate bumpy trails and steep mountain passes. When the highest point is reached, the sun breaks through wispy clouds and they behold the breathtaking alpine scenery of the valley. The tour continues to a flowering alpine meadow with peacefully grazing cows. An alphorn sounds from afar - the echoes bounce between the steep mountain walls. The approach to Landeck is illustrated by brilliant brass fanfares. Finally, the end of the journey, the arrival in Augsburg, is marked by a triumphant hymn. 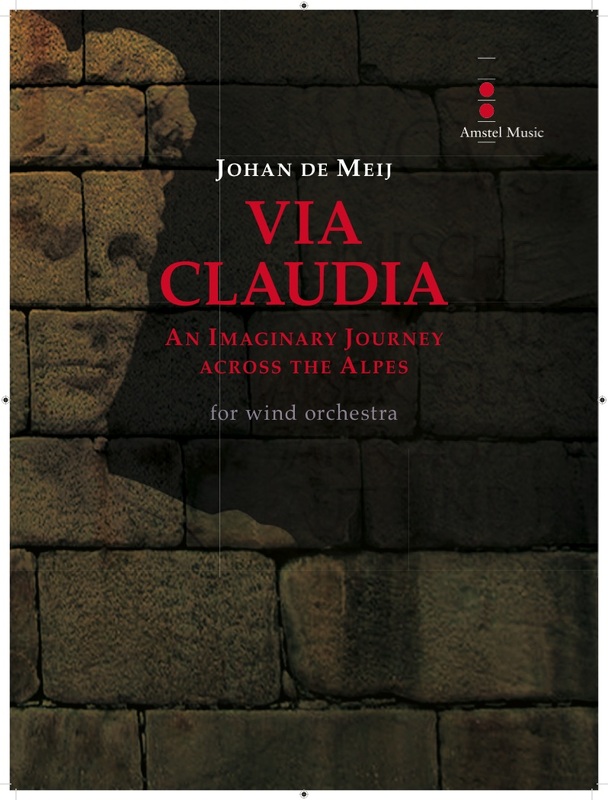 Via Claudia received its world premier in 2012 during the Anniversary Concert of the Symphonic Wind Orchestra Landeck, conducted by the composer. The work is dedicated to conductor Helmut Schmid, who initiated this commissioning project.